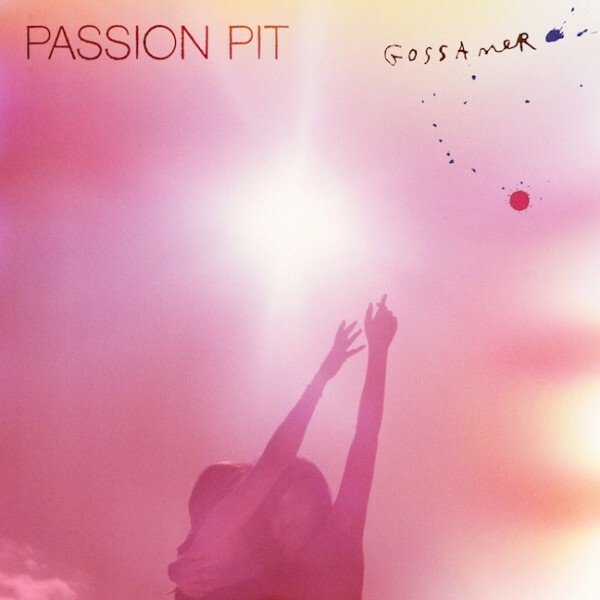 To say that Passion Pit’s music sometimes reflects lead singer Michael Angelakos’ bipolar disorder seems a little too easy and more than a bit insensitive. But with ‘Gossamer’ it’s hard to avoid this comparison. The music is joyous, uplifting, hyper-energetic and exciting, but yet the lyrics are dark as hell, dealing with issues such as the current economic climate, depression, suicide, and alcoholism. It can be a little off-putting and perhaps it’s even a bit more than some people wanted from a record that’s destined to be played loudly in clubs all over the world to those who want nothing more than a good beat. But for those prepared to jump right into ‘Gossamer’ in all its surprising complexity and honesty, there’s a lot to be found here. The fact that the band have managed this level of lyrical and thematic depth without losing the instant gratification and sense of happiness that we all want from Passion Pit’s music is nothing short of extraordinary, and it’s that balancing act that makes this record so interesting. This is best illustrated by Take A Walk, the album’s first single and probably its most instantly catchy track, despite the fact that it’s about the current sorry American economy. Similarly I’ll Be Alright has lyrics that seem to suggest otherwise but yet still is energetic enough to the point where it wouldn’t have been entirely out of place on ‘Manners’. In fact ‘Gossamer’ as a whole only fades away a bit towards the end because Passion Pit try to do things a bit differently: there can be little doubt that their strength is still in dancefloor-filling, mosh-inducing electronic power pop numbers, but the likes of On My Way perhaps show that they’re capable of something more, even if they’re not quite there yet. ‘Gossamer’ is a flowing river with a pristine surface but strong, treacherous, dark undercurrents. It’s up to you whether you want to just sit back and enjoy the sight or dive right in. 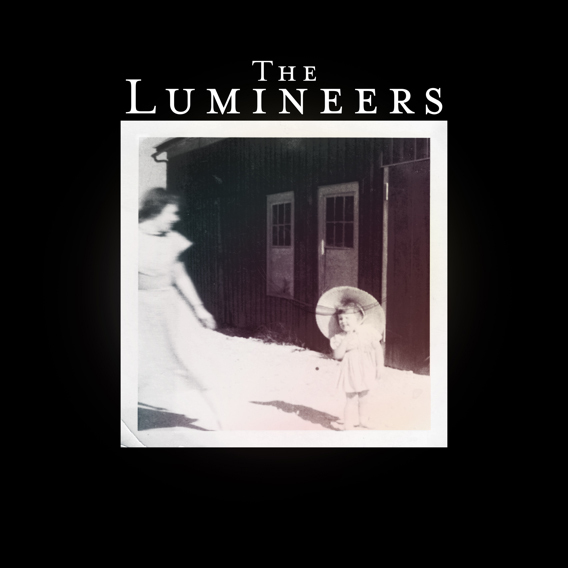 After having listened to Ho Hey something like fifty times I figured it was only fair to give the rest of The Lumineers’ self-titled debut album a shot as well. Whilst it’s yet to sway me to the belief that any other song the American band have written even comes close to that insanely upbeat and infectious song, it’s also clear that they’re far from one hit wonders. The record as a whole is still really enjoyable and surprisingly diverse given that it’s billed a pretty much a straight up alternative folk record. For example Submarines is built around a pulsing keyboard riff rather than a banjo, acoustic guitar or foot stomping (even though I’m pretty sure there is a ‘baaa’ from a sheep in there at some point). It’s easy to pigeonhole a lot of modern folk acts that try to capture an old-timey sense of musical euphoria, but The Lumineers resist this trap, whilst still incorporating plenty of joy and foot stomping inducing melodies into their music. They’re inevitably going to compared to the same slew of artists that any band of this nature is, but there seems to be something pretty special and unique that The Lumineers have going for them that not many others do. They may say ‘Last one!’ before the final shout of ‘Ho! Hey!’, but despite that it’s pretty hard to resist hitting that Previous Track button time and time again. I played a charming little abstract game called ‘Botanicula’ earlier this year, a point-and-click adventure where you tried to help five botanical creatures save their home. I was completely blown away by the game and loved every second of it. You know it’s good when you find yourself smiling absentmindedly at the screen like an idiot for the entire game’s duration. Not only was the art direction absolutely incredible, but the music was phenomenal, fitting beautifully into the fantastical and magical world and turning what would have been an enjoyable experience into a near perfect one. I later found out that the game’s music was all written and recorded by DVA, an indie Czech band whom I had never heard of before. 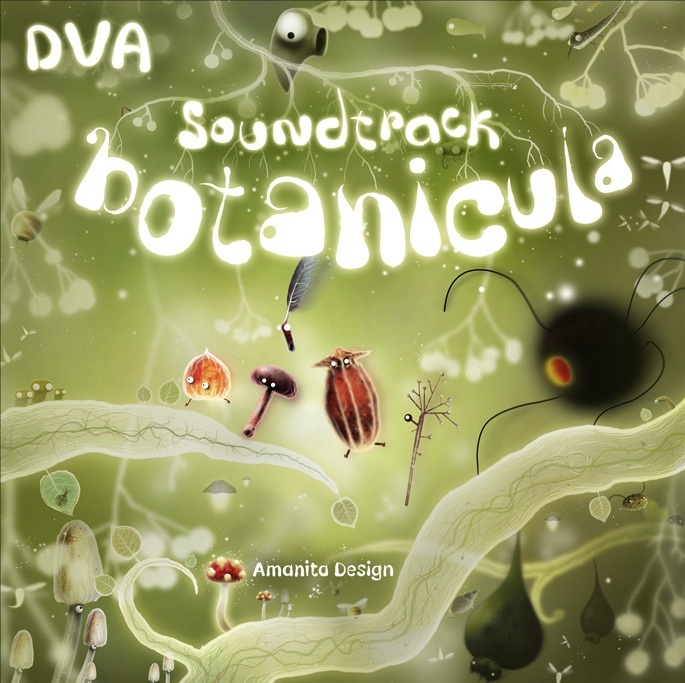 Since then I’ve picked up the soundtrack to ‘Botanicula’ and am really enjoying it. It’s difficult to describe the music to someone who hasn’t played the game: it’s obviously heavily influenced by the game’s setting, featuring bird calls and buzzing and other ambience that sounds like it belongs to a rainforest, as well as the voices of the main characters speaking a strange insect-like language that doesn’t actually have any words. Underpinning all that strangeness however is some very solid instrumentation and music, from the joyous closing track Finale to the game’s main theme song, Juchu. Just like ‘Botanicula’ itself this music is uplifting and very personable, despite sounding unlike anything you will have ever heard before. There’s even a cover of LCD Soundsystem’s Dance Yrself Clean there, what’s not to like? You probably won’t get as much out of the soundtrack if you haven’t already played the game, and you may in fact spoil some of its best moments given how integral this music is to the experience, so I recommend picking up the game itself before the soundtrack: it’s available via the Mac app store and Steam for PC for a few bucks, only takes a few hours to play, and is well, well worth it. Since seeing Cosmo Jarvis live I’ve been revisiting a lot of his music, as well as listening to his latest record ‘Think Bigger’ continuously. I’ve decided that I kind of love it. Previously for me Cosmo’s music had been very hit-or-miss; either brilliant or a bit mediocre. Partly that was because he liked to dabble in some genres and styles that didn’t really interest me, but he really nails down a more straight-up indie pop/rock/country sound on ‘Think Bigger’, and rather than taking away some of his uniqueness I think this approach really suits him. There’s still plenty of Cosmo’s trademark absurdity and quirkiness here, but the instrumentation for the most part is much more directed and concise than what we’re used to getting from UK musician. Take opening track Love This, which is probably the most polished and neat track he’s penned to date, but yet still conveys his swagger and unique insight perfectly. It really does deserve to be a huge radio hit, and that’s meant as a compliment and not an insult. 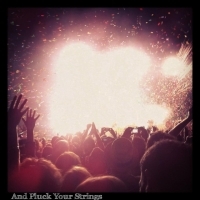 Sunshine is a bit of a heavier number that also displays the album’s leanings towards modern country music, as does Lacie, a song centered around a banjo and written about Cosmo’s portable hard drive. 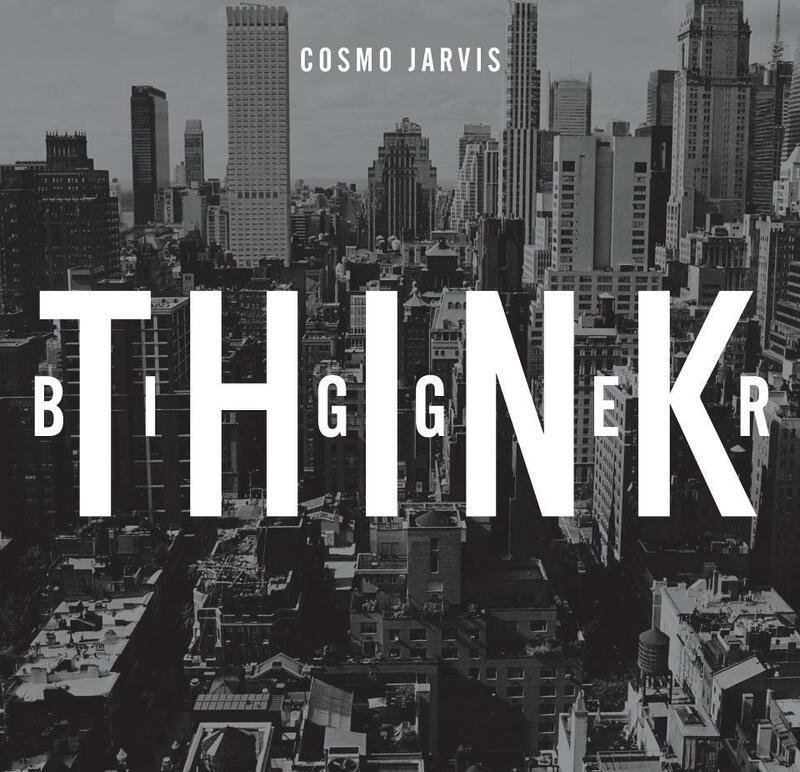 ‘Think Bigger’ may be Cosmo Jarvis’ most accessible and perhaps most generic record to date, but I also think it’s his best. The only pity is that Look At The Sky didn’t make the cut and instead is destined to a b-side’s life of obscurity, because I think it would have really suited the record and added a few meta connotations about mainstream music that were obviously in the artist’s mind but yet don’t really come across through the record as it stands. That’s okay though, because as it stands it’s still a really great album. I had also hoped that “Thinking Of the Wrong Things” (which he also posted on YouTube a little while back) would make it onto Think Bigger. I had a brief conversation with him when he was here and he said that they were both just a little bit too late for his management to include – but they should be on the next one. Given his level of output, that may not be too far into the future – tho’ probably longer than the time from “Is the World Strange” given that this album is receiving more positive attention. Personally I miss the diversity a little bit – but there is little not to like on either.